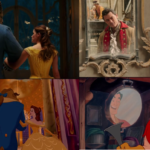 Disney’s Beauty and the Beast features the memorable lyric, “Tale as old as time.” But for over 25 years, kids have grown up exclusively knowing Disney’s version. In celebration of the new live action retelling, Disney Press has published a beautiful hardcover picture book that recounts the original fairytale the way generations of children first heard it. While it is still the same story at it’s core, it reveals just how original and fresh the Disney version was. Beauty is the youngest of three sisters and her father is a voyaging merchant. When he loses his fortune and ends up lost in the woods, he is given food and shelter by a Beast. 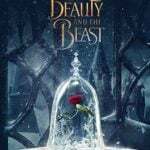 But after stealing a red rose for Beauty, the Beast demands that her father remain his prisoner. He returns home to say goodbye to his daughters, when Beauty insists on taking her father’s place. But over time, she discovers that the Beast isn’t a monster on the inside and ends up breaking a spell put on him long ago by a wicked witch. Gone are the enchanted objects, the enchanted rose, and even the name Belle. Fans of Disney’s animated classic may have read about an earlier attempt at the film, which remained somewhat more faithful to this original version. But it is still refreshing to experience the story in its most essential form. 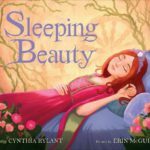 This version is retold by Nerberry Medal recipient Cynthia Rylant, who achieved her accolades for her book Missing May. The illustrations are by artist Meg Park, who takes a very Disney approach to the artwork while still letting her version stand apart from the animated or live action films. 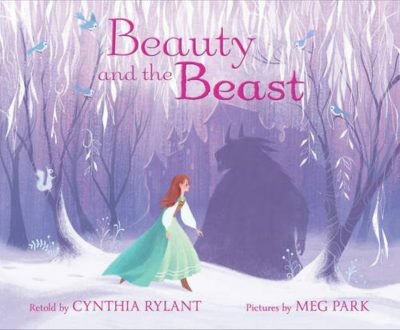 This hardcover picture book of Beauty and the Beast is recommended for parents hoping to introduce their kids to the original fairytale, or for adults looking for a quick retelling with beautiful artwork. 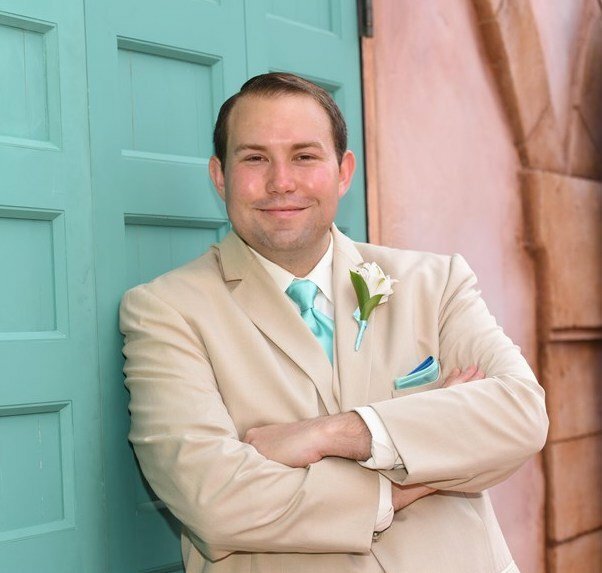 If anything, it will add to your enjoyment of Disney’s adaptations as it reveals just how much they added and changed to make the fairytale work for film.